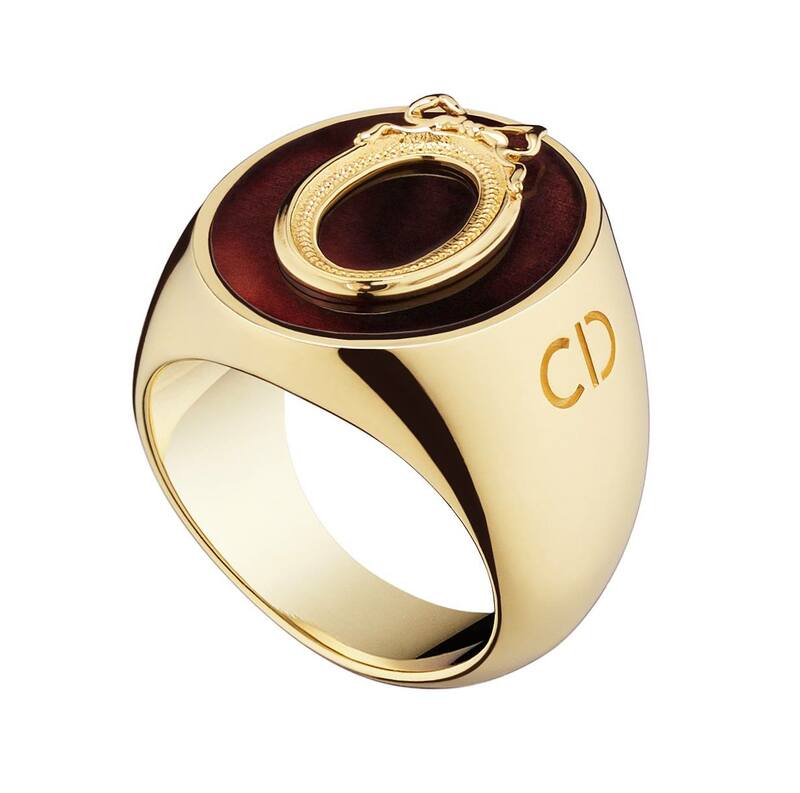 “A gentleman wears his signet ring on his left hand, but a Kingsman agent wears it on his dominant hand. Press the back of it with your thumb and it emits a 50,000 volt shock.” by Harry Hart aka Galahad in Kingsman: The Secret Service (2015). 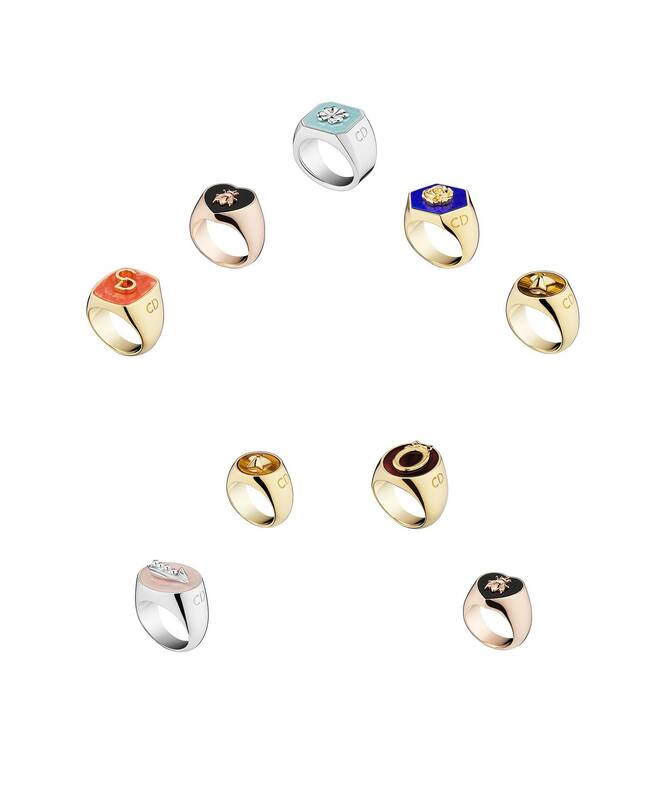 Signet rings have a flat bezel, usually wider than the rest of the hoop, which is decorated to leave a raised impression of the design when the ring is pressed onto soft sealing wax or a similar material. They have been used since ancient times as the personal seal of an individual and their use can be seen in many medieval era movies. 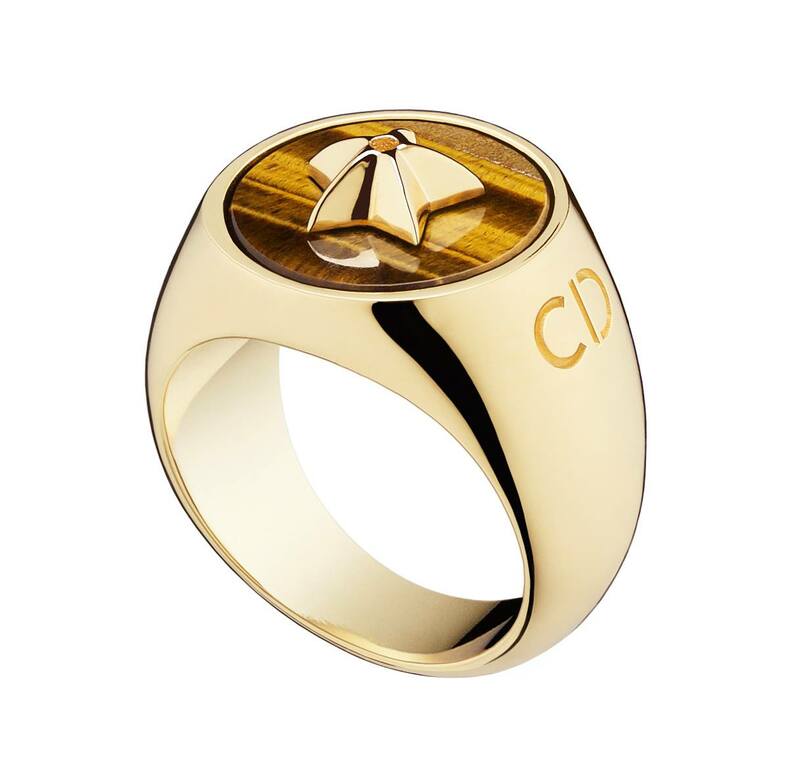 The wearing of signet rings goes back to ancient Egypt; when the distinctive personal signature had not yet been developed and most documents needed a seal. The ring is primarily used to attest the authority of its bearer, and is seen as a symbol of his power. As the movie Kingsman: The Secret Service was an homage to the James Bond movie series, it was no surprise to see the ring included in the movie although its use was different from the one that was worn by James Bond who was played by Roger Moore in A View to a Kill, which housed a spy camera. 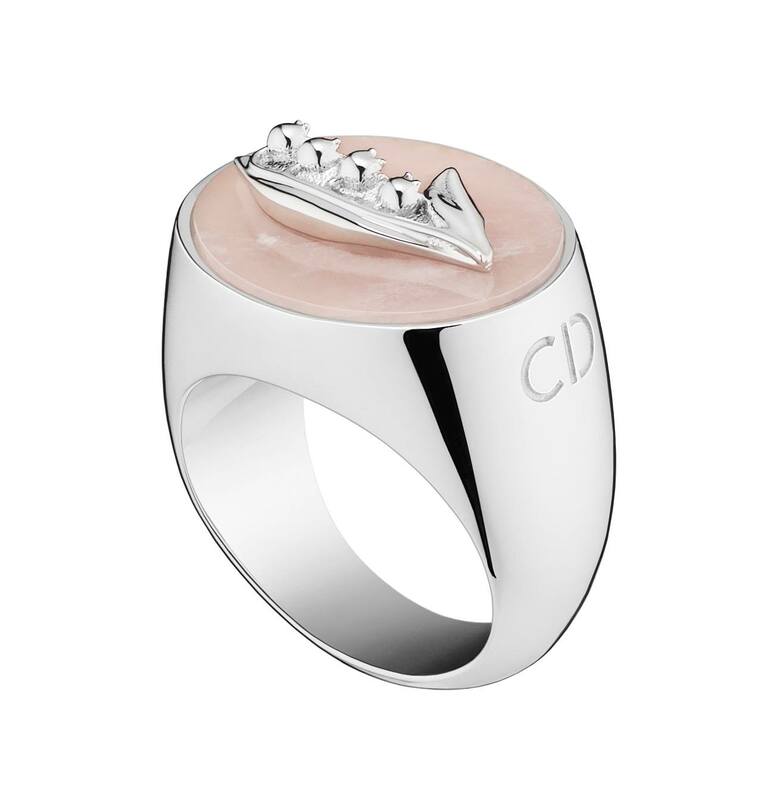 The house of Dior has come up with a line of signet rings called “Lucky Dior” – a collection that adds a new twist to the signet ring, a timeless piece of jewellery that is imbued with tradition and often passed down – a symbol of family values. Bee: «a small hive filled to bursting, that’s what my house was like when I presented my first collection,» wrote Christian Dior in his memoirs. This metaphor for the ateliers at 30 Avenue Montaigne, also evokes the activity of the seamstresses given the nickname of bees. Meticulous and ever-busy, they worked for the designer like a swarm. The little black and yellow insect, in a modernized and refined embroidery, is the insignia of the Dior homme Collections. 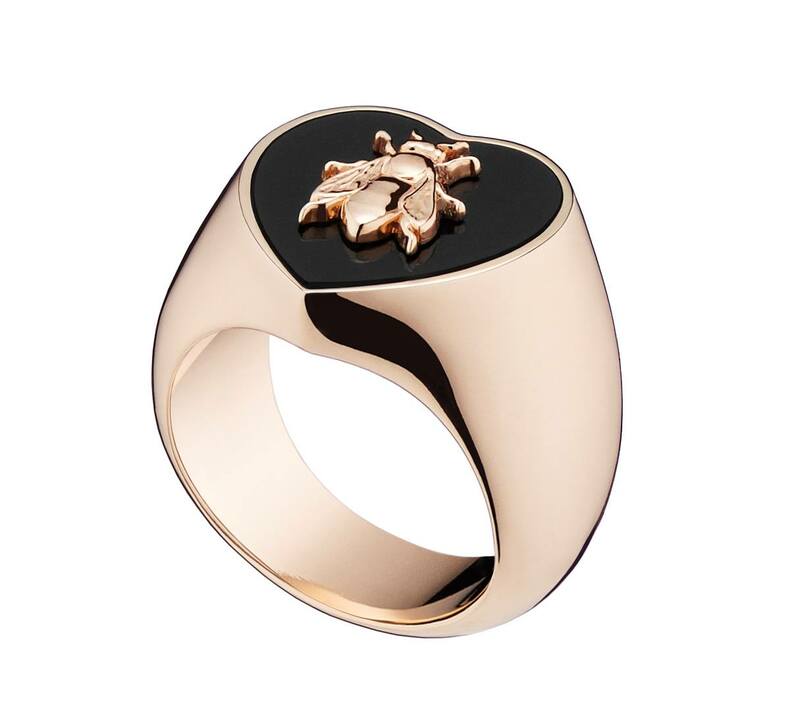 Today, the bee is set into the signet ring, contrasting with a deep black onyx that brings strength and vitality. Lily-of-the-valley: highly superstitious, Christian Dior loved the lily-of-the-valley, a symbol of happiness that heralded the arrival of spring and haute couture. Enraptured by its scent and its feminine blooms, he used to sew a dried sprig to the hem of each of his dresses. This flower, which can be found embroidered on house creations, delicately decorates the pale rose quartz that brings love. 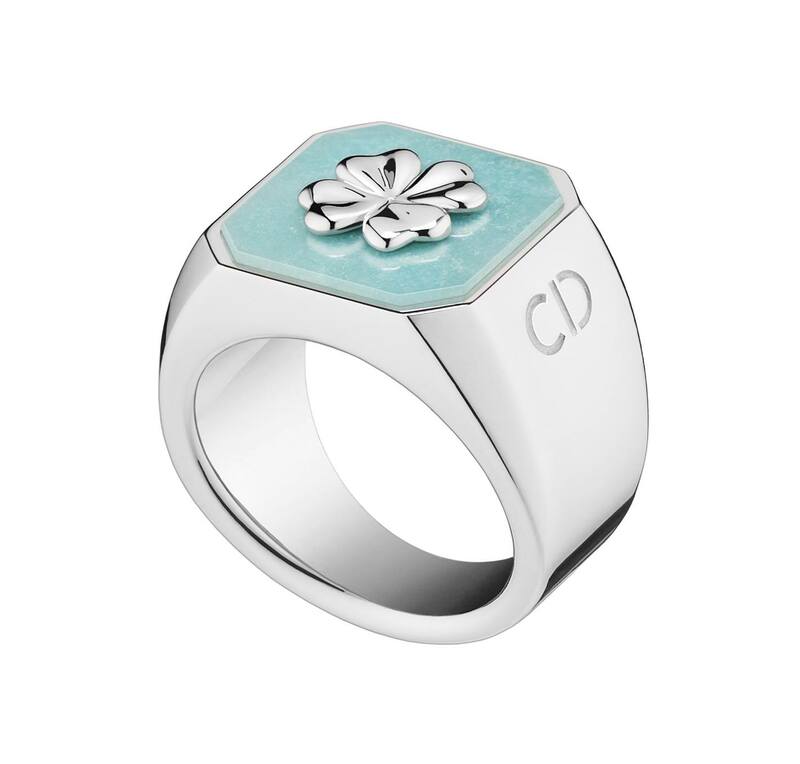 Clover: the clover was with Monsieur Dior every day in the cluster of charms that he kept in his pocket. Inseparable from this symbol of luck, the designer attached considerable importance to talismans that guided his destiny. As an amulet, the clover is adorned with a green stone, amazonite, inspiring confidence. Rose: a gentle souvenir of his childhood garden at Granville, the rose evokes the love that Christian Dior had for his mother who inspired in him his taste for flowers and feminine elegance. 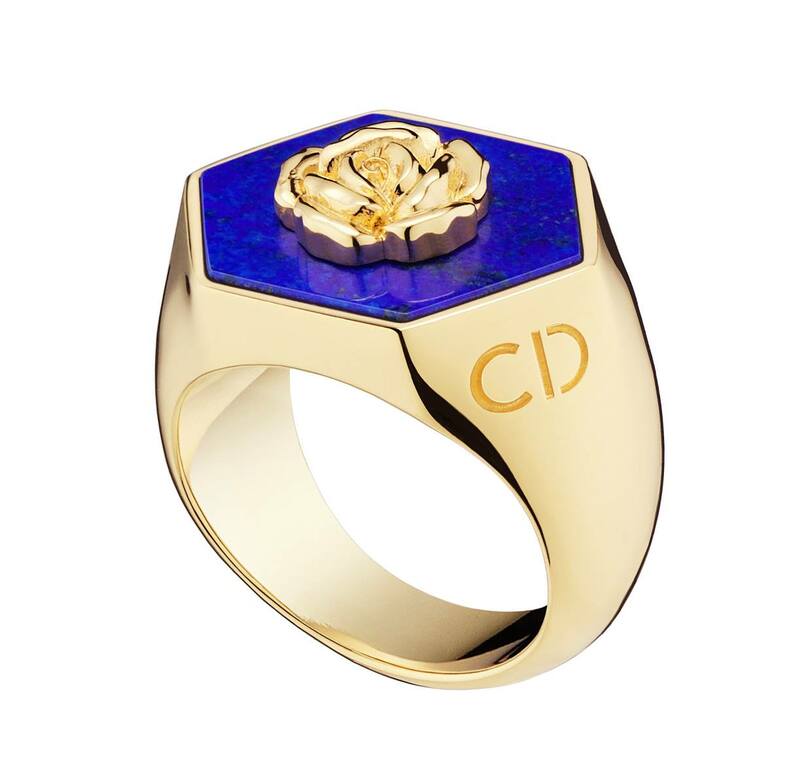 On the signet ring, the rose is finely drawn on a navy blue lapis that offers wisdom. Star: like a sign of fate, the couturier chanced upon a star laying on the ground at the time he was readying to take the decision that would change the course of his life. Christian Dior interpreted this find as a spiritual aid that inspired him to follow his path and open his own couture house. Kept as a lucky charm in his atelier, here it is paired with tiger eye, a protective and radiant brown stone. Oval: fascinated by the elegance of the 18th century, Mr. Dior bought medallion-back chairs to seat the guests at his shows. Having become emblematic, today the oval topped with a Fontanges bow is a house code. Feminine and sensual, it decorates both boutiques and perfume bottles. On this jewel, it is matched with the elegant plum of fluorite to provide protection and harmony. 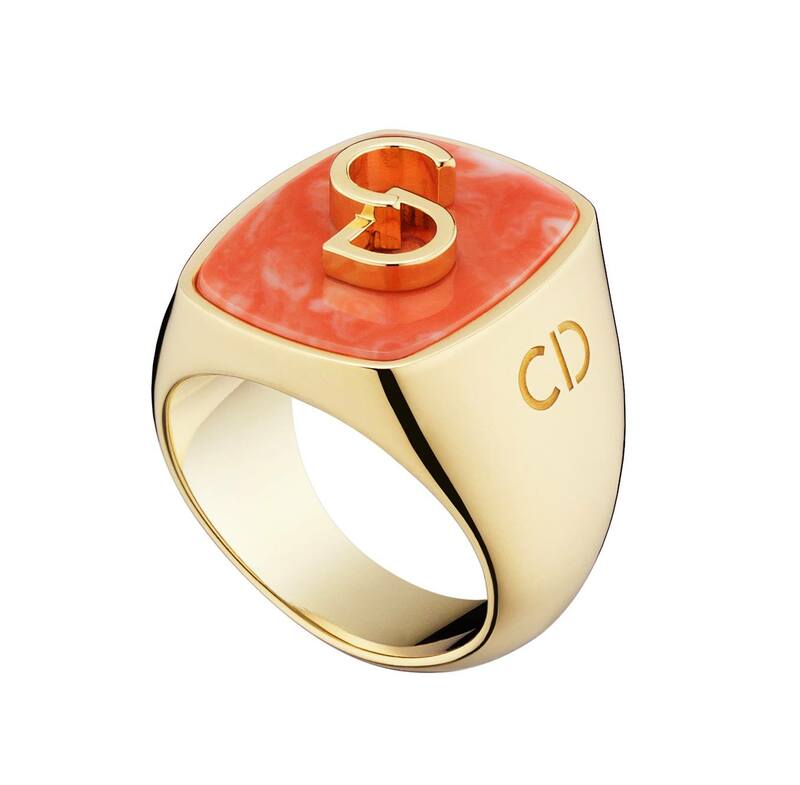 Initials: the Dior signature, the initials «CD» are stamped into a comforting bright red coral. The ring can thus be worn as an emblem of the house.